Creative Scotland has today (Thursday 13 August, 2015), in partnership with the National Library of Scotland, announced the appointment of Hamish MacDonald in the role of Scots Scriever. A first for Scotland, this role is a two-year residency based at the National Library of Scotland, supported with funding from Creative Scotland. The purpose of the role is to produce original creative work in Scots, its variants and dialects, across any art-form, as well as raising awareness, appreciation and use of Scots across the country and amongst all parts of the population. This is a unique type of writer residency with a high level of public engagement, a creative response to Scots collections at the National Library of Scotland, and regular ongoing output in Scots. Hamish MacDonald writes in English and in Scots, is published in poetry and fiction and has written several plays which have toured in Scotland and abroad, two of which he adapted into radio series for the BBC. Hamish is a founder of Dogstar Theatre Company, was the first recipient of the Robert Burns Writing Fellowship (2003-06) for Dumfries and Galloway Arts Association and has led workshops in creative writing and performance throughout Scotland and abroad, involving a diverse range of age groups and abilities. 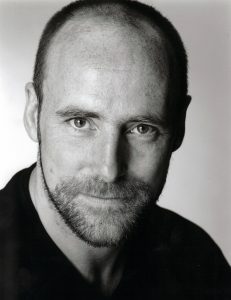 He spent three years as director of Moniack Mhor, Scotland’s creative writing centre, and works as a freelance writer. He is a contributor to Scots language imprint Itchy Coo publishing’s popular anarchic children’s poetry books, King o the Midden and Blethertoun Braes. to produce original, creative work in Scots (any variant or dialect) in any genre or discipline throughout the tenure. to have explicit responsibility for raising the profile, understanding and appreciation of creative work in the Scots language, including that held within the National Library’s collections. The residency runs for a period of two years, based at the National Library of Scotland, with an approximate engagement of one week per month throughout that time. It is anticipated that around 50% of the time will be spent producing new creative work and 50% on the profile raising/public engagement aspect of the role. Aly Barr, Acting Head of Literature, Publishing and Languages at Creative Scotland, said: “We welcome the appointment of Hamish MacDonald as the first Scots Scriever to take up residency at the National Library of Scotland (NLS). Identified as a key requirement within the Scots Language Policy, we are particularly pleased to be working in partnership with NLS to host the new Scots Scriever role. Creative Scotland published its first Scots Language Policy in June 2015, in which the role of Scots Scriever was identified. The policy underlined the organisation’s commitment to supporting the language through its own work and the work that it funds across the arts, screen and creative industries.